In a new study, McIver’s laboratory and researchers at the University of Maryland School of Medicine identified two genes important for invasive group A Streptococcus infections in mice. The genes, subcutaneous fitness genes A (scfA) and B (scfB), may prove to be promising clinical targets in the fight against these infections, as there are no vaccines against group A Streptococcus or effective treatments for invasive infections. The study was published online on August 23, 2017, in the journal PLOS Pathogens. Led by Yoann Le Breton, the study’s first author and a research assistant professor in McIver’s group, the researchers discovered scfA and scfB by performing transposon sequencing on the entire group A Streptococcus genome. Transposons, also known as jumping genes, are short sequences of DNA that physically move within a genome, mutating genes by jumping into them. If the mutation causes an interesting effect, scientists can identify the mutated gene by locating the transposon, sequencing the DNA surrounding the transposon and mapping its location in the genome. McIver and his colleagues used a transposon called Krmit—which they created in a previous study—to generate a collection of approximately 85,000 unique mutants in a group A Streptococcus strain. They injected the mutant strains into mice, which resulted in humanlike infections. The transposon was named for the Muppets character Kermit the frog, whose creator Jim Henson, a 1960 College Park alumnus, died of toxic shock syndrome following group A Streptococcal pneumonia. 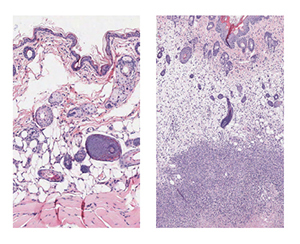 The researchers identified 273 scf genes as potentially involved in establishing infection under the skin, but two genes stood out: scfA and scfB. Based on patterns in their DNA sequences, these genes likely encode proteins in the bacterial membrane. This is a prime location for gene products involved in infection because many dangerous bacteria secrete toxins or proteins through the membrane to attack the host. 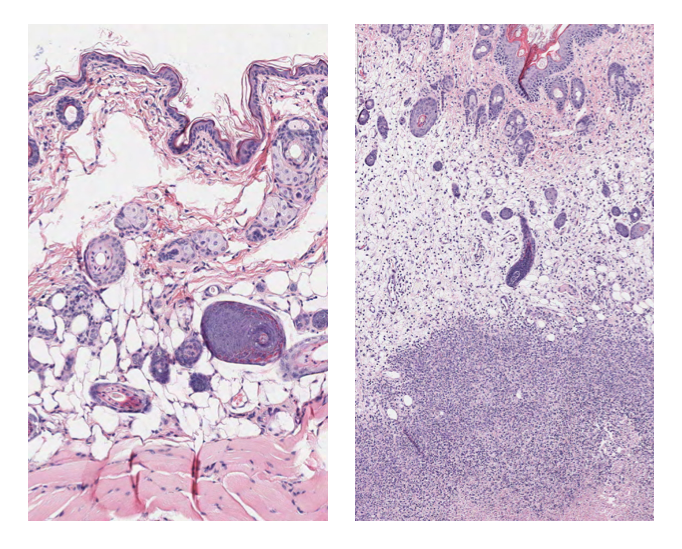 Additional experiments showed that bacteria lacking scfA or scfB had difficulty spreading from under the skin to the bloodstream and other organs. The results suggest that these two genes are involved in the invasion process and may be potential targets for therapeutics. McIver also looks forward to using transposon sequencing to study other ways bacteria attack humans. Other study co-authors affiliated with the UMD Department of Cell Biology and Molecular Genetics include Professor Najib El-Sayed, postdoctoral fellow Ashton Belew, graduate student Ganesh Sundar and laboratory technician Emrul Islam. This work was supported by the National Institute of Allergy and Infectious Diseases at the National Institutes of Health (Award Nos. AI047928, AI134079 and AI094773) and a University of Maryland, Baltimore and University of Maryland, College Park Seed Grant. The content of this article does not necessarily reflect the views of these organizations. The research paper, “Genome-wide discovery of novel M1T1 group A streptococcal determinants important for fitness and virulence during soft-tissue infection,” Yoann Le Breton, Ashton Belew, Jeffrey Freiberg, Ganesh Sundar, Emrul Islam, Joshua Lieberman, Mark Shirtliff, Hervé Tettelin, Najib El-Sayed and Kevin McIver, was published online in the journal PLOS Pathogens on August 23, 2017.